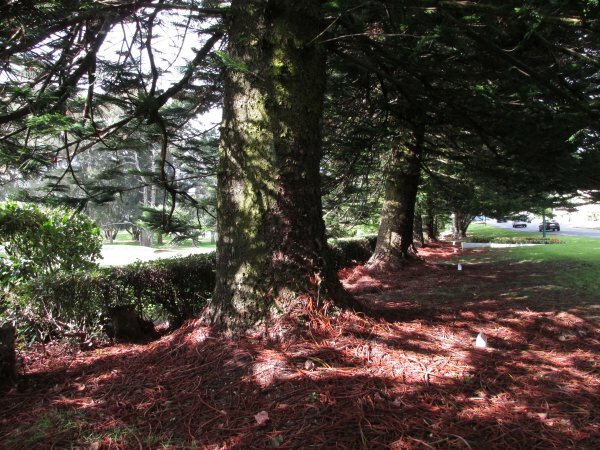 One of the trees in the WWII Memorial Drive avenue planting of Norfolk Island pines. This one commemorates the life of Gregory Cullen P/K61213. Cullen was a Petty Officer Stoker with the Royal Navy and last served on HMNZS Leander. He died, aged 39, on the 13 July, 1943 off the Kula Gulf in the Solomon Islands when Leander engaged with Japanese forces during The Battle of Kolombangara. For more information on the establishment of Memorial Drive see record AR/G1320 (Cadwallader, B.G. 2015).